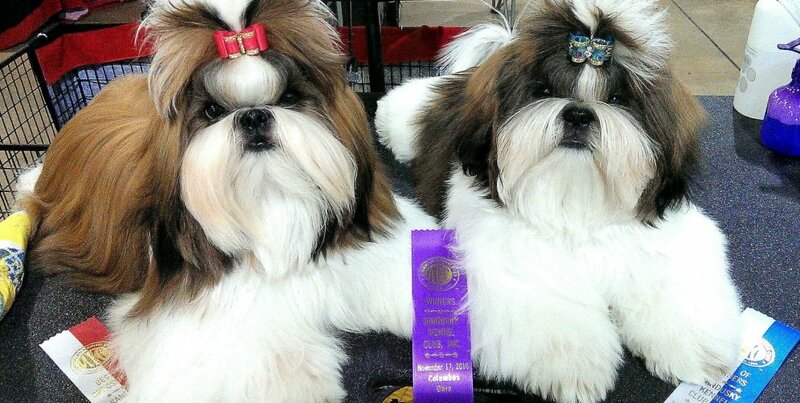 Ch Mr Foo's I'm Not As Wicked As I Seem ~ "Celine " & Ch Mr Foo's Requiem Of Shane ~ "Shane"
Beautifully hand crafted traditional double loop show dog bows perfect for puppies, Maltese and Yorkie ...Offered with either gold metallic underlay on the bow top loop, gold tinsel edge on satin for show, novelty printed satins, vintage ribbons, and specialty designs using gorgeous jacquards and rhinestones. 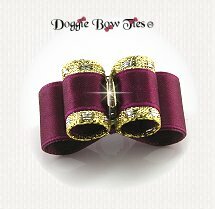 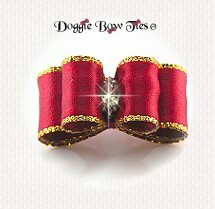 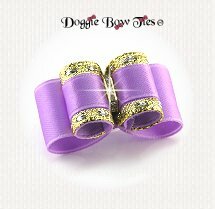 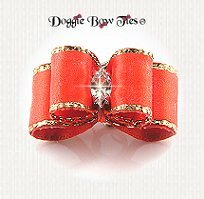 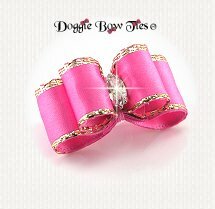 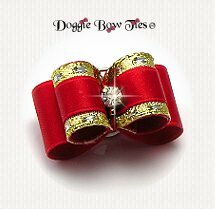 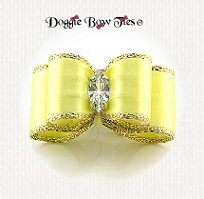 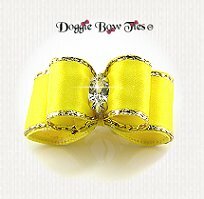 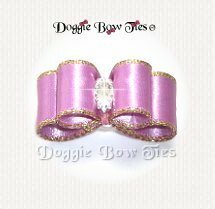 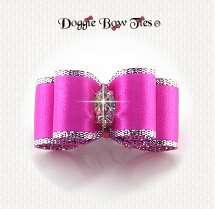 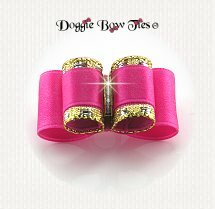 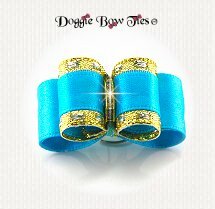 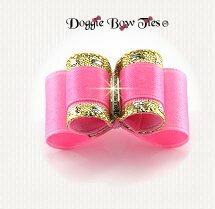 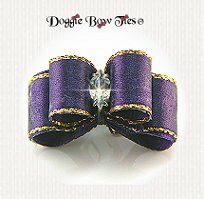 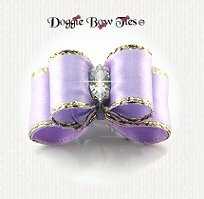 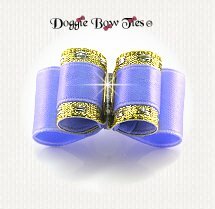 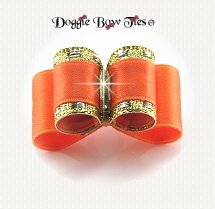 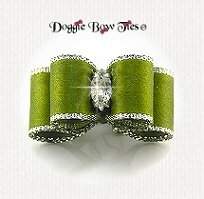 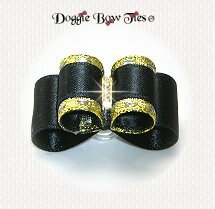 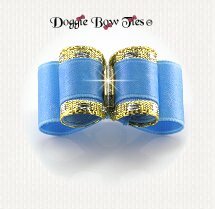 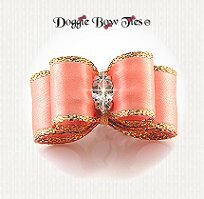 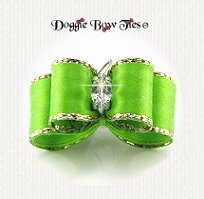 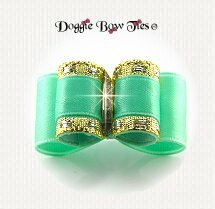 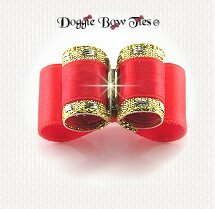 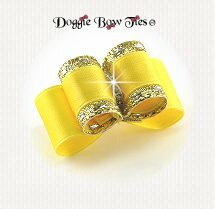 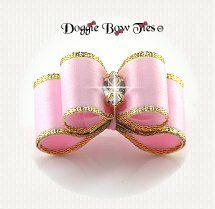 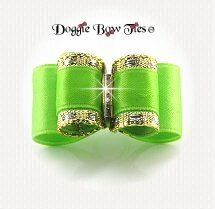 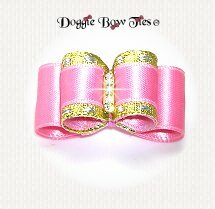 For Christmas Puppy Dog Bows please see my Holiday Bows Page. 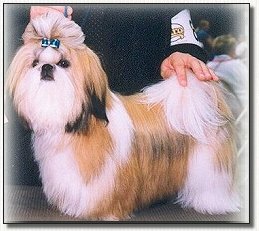 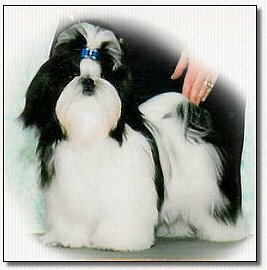 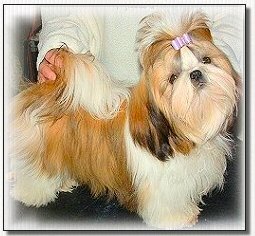 SIZE: 5/8" x 1 1/4"
Ch Mr Foos Autumn Fire "Autumn"
Jam-Up's Gimme Johann Sebastian Bark "SEBASTIAN"
Dixidew's A Little Less Conversation"Action"
Artmar Mr Foos Halo of Fire "Paris"
CH Mickar's Made To Order "Taylor"
Directions for making a simple topknot on your pet Shih Tzu. 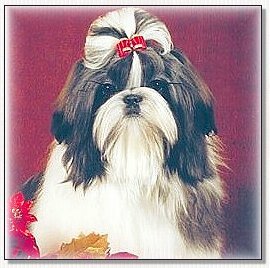 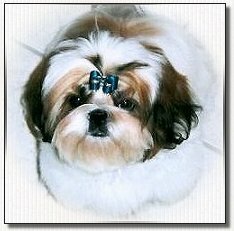 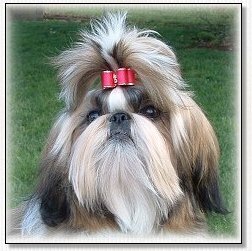 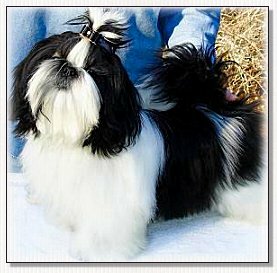 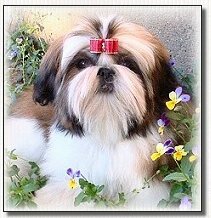 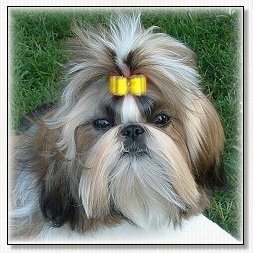 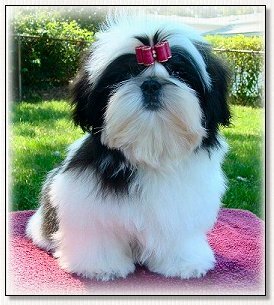  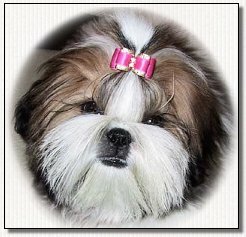 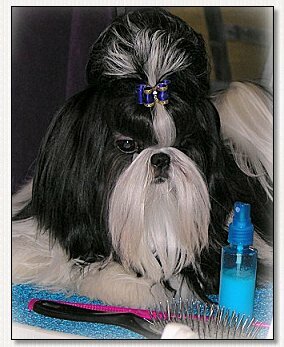 It is easy to learn to make a simple topknot that will secure your pet’s bow.